This year in May, Google launched the GBoard app for iOS and well, this was a very weird move from the company as Android users didn’t get the app. But, after about half a year, it has been made available for Android users. The app arrived at Android as v6.0 of the much popular Google Keyboard. But, not just the name has been changed, but there are some new features included in the new GBoard app. WHAT’S NEW IN THE GBOARD? Gesture typing is now called Glide typing. 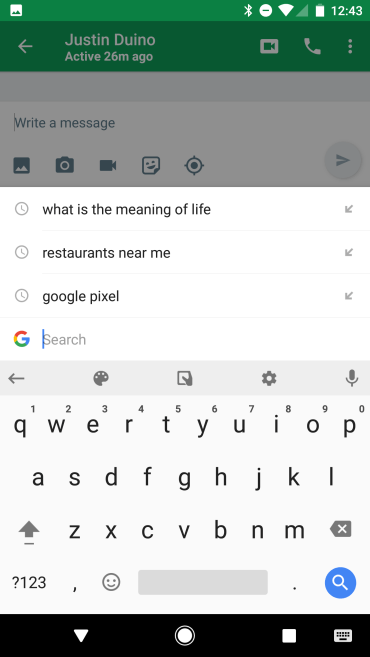 Well, just like for iOS, the GBoard for Android comes with Gesture typing, do different searches directly from the keyboard, insert GIFs and much more. The only significant difference in iOS and Android versions is the User Interface The iOS app is based on traditional Apple UI whereas the Android app is based on Google’s Material design with a clean interface.